Wool has lost popularity in the United States over the last several decades — partly because of its reputation for causing skin irritation and partly because of the inhumane way modern sheep are raised. But the Savory Institute is working to change all that. The non-profit is in the process of restoring 40 million acres of dead or dying grassland with the help of cows, sheep and other grazing animals. Basically they are training the domesticated, grass-eating animals to graze like their wild ancestors, in a way that regenerates, rather than destroys the soil. 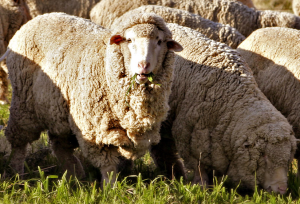 All wool produced according to the Savory Institute’s guidelines will be stamped with the organization’s new “Ecological Outcome Verified” certification. EOV is sort of a “beyond organic” and “beyond sustainable” label that ensures products such as meat, dairy, wool and leather are produced with “regenerative agriculture,” or agriculture that leaves the land in better condition than before, not worse. 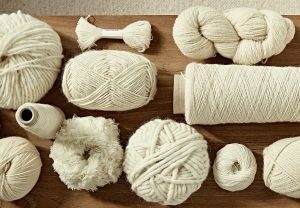 “Unfortunately, too much of our modern population has lost touch with the amazing properties of wool,” says a Savory Institute press release about regenerative wool. But, when wool is processed correctly, it cannot be “rivaled in performance by any other fabric,” the release says. It keeps us cool during the hot months and warm during the winter months. It’s breathable, naturally water-repellent and has unparalleled odor-control. Plus, it can actually be beneficial for your skin. Wool has gained an unfair reputation for being itchy and irritating. Some people even claim to have a wool “allergy.” But people in the natural wool industry believe it’s heavy chemical processing that’s to blame, not the wool itself. Large scouring facilities use acid to burn out the natural oils out of the wool, says a worker at Yolo Wool Mill in California in the video below. Recent studies are even showing that superfine merino wool can actually be therapeutic for people who have eczema and other skin irritation conditions. 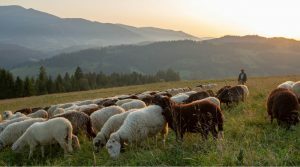 On top of all those benefits, “when the sheep are managed properly they can play an amazing role in sequestering carbon, restoring watersheds, restoring wildlife habitat and reversing climate change,” says the Savory Institute. Meanwhile, cotton, even organic cotton takes tons of irrigated water to grow and depletes rather than replenishes the soil of nutrients. “The wool industry can be incredibly destructive or incredibly beneficial,” says the institute’s Rolf Pretorius in the video above.